The elegance of flamingos is one of the reasons I've started travelling to the Camargue, in France, since french birds tend to be tamer than italian ones and can be approached at a closer range. 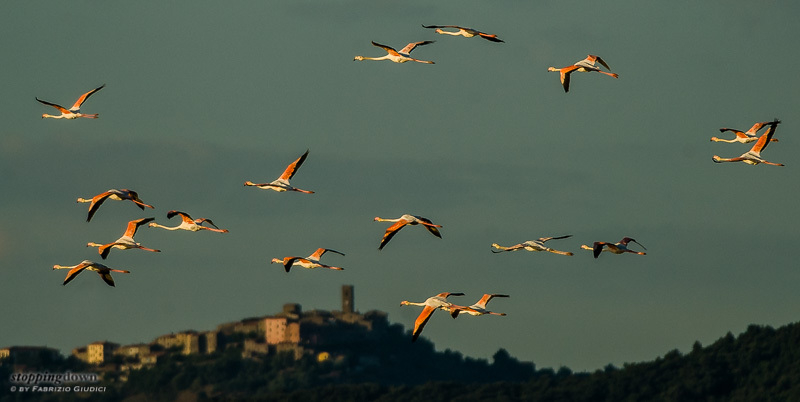 Unless they are flying and you manage in being just under their flight path, a thing that I've just learned is not unlikely to happen during a boat trip at Diaccia Botrona, just a few kilometres off my summer residence. 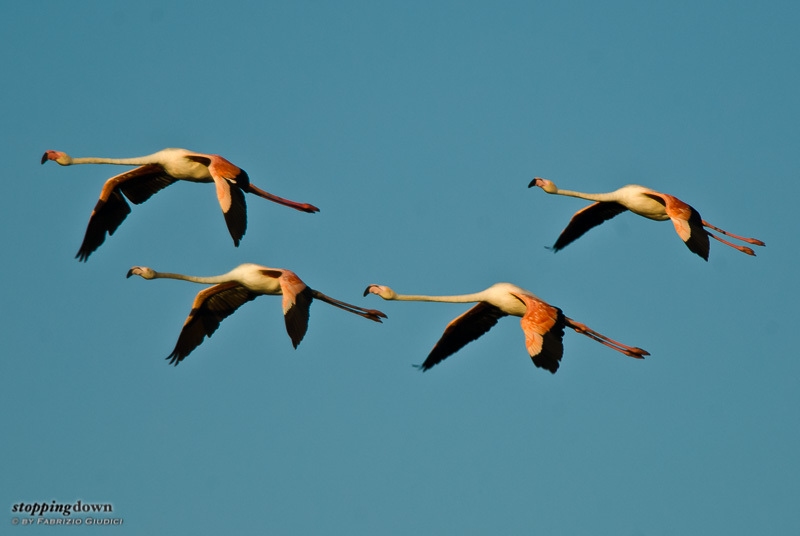 Vetulonia, rosa al tramonto (Phoenicopterus roseus).